Wine-ot let a subject matter expert choose for you? Since my last travel was cancelled due to Mother Nature’s wrath, I haven’t had much to blog about. I’m heading out tomorrow for Atlanta, and I know we have a couple of good dinners planned down there. Posts soon to come! In the meantime, I was lucky enough to have my friend, Kris, visit me from Texas this past weekend. Though we covered a bit of ground while she was here, we didn’t try any new restaurants. We did, however, try a new wine. Saturday afternoon, we stopped at Westborn Market in Dearborn to pick up a bottle (actually two) of wine. Kris was leaning toward Chardonnay, and I was leaning toward a Cabernet Sauvignon. Therefore, we bought one of each. Being the open-minded and social gal that Kris is, she allowed the resident wine man (I can’t for the life of me recall his name!) to recommend a Chardonnay to her. Sidebar: I’ve worked with him before too, and he has made very good, if sometimes pretty expensive, recommendations. He’s a man whose opinion I trust. That said, when someone recommends a very expensive wine to me, I typically decline. When I quit my first job at Corning, Inc (a great company! ), I splurged on an expensive bottle of wine – at the local wine shop’s recommendation. This bottle of 1997 Tera Bella Cabernet Sauvignon was ~$80 in 2003. There were only 100 cases in total, so the wine was in high demand. That bottle of wine tasted like any other $15-18 bottle, in my opinion. I didn’t have an advanced palate, and I still don’t consider myself a connoisseur – though my palate may be a bit more discerning these days. 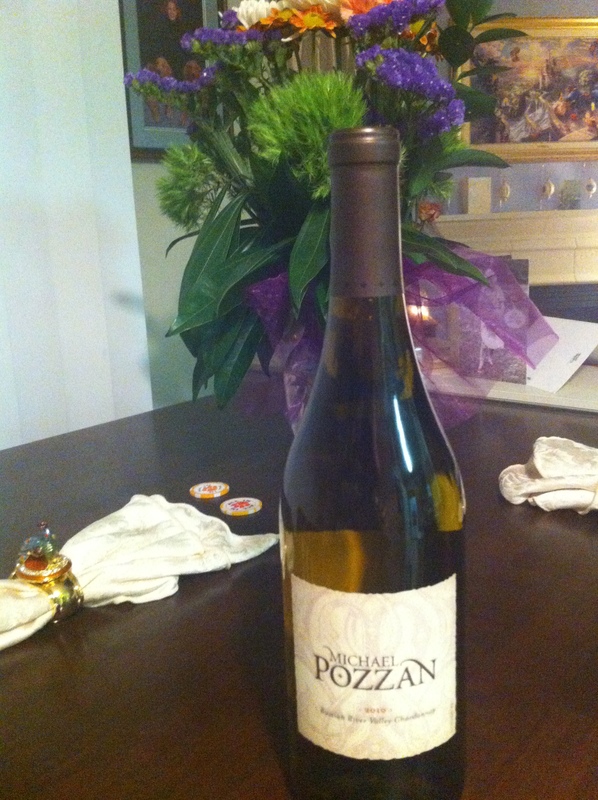 Back to this past weekend… The Chardonnay we took home was this 2010 Michael Pozzan Chardonnay ($15.99), and it was delicious! Very oaky (a pre-requisite of Kris’s), with a smooth and slightly buttery flavor. We didn’t drink any wine later that evening, but Kris did mention that she would take bottles home with her, had she checked her bags. And, this comes from a woman who works for an alcohol company! She knows her stuff! 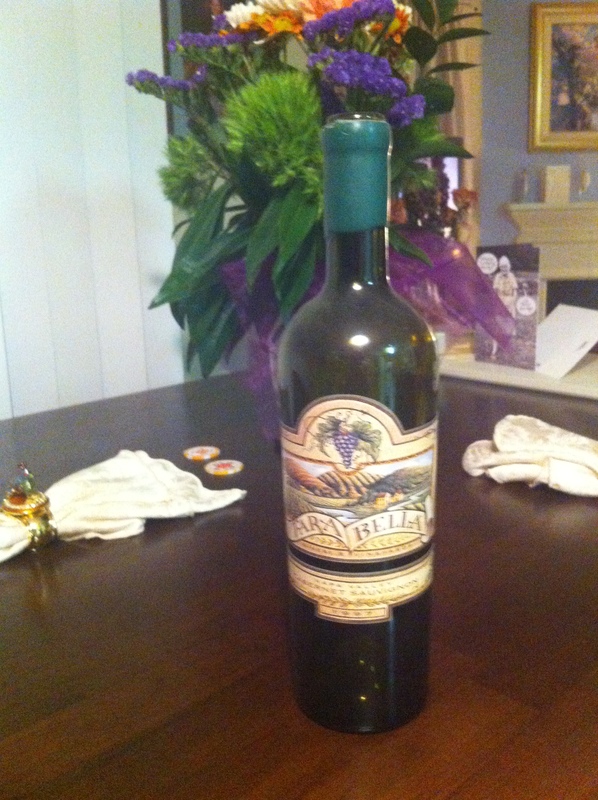 Moral of this story…the man in the wine department at Westborn chose a great Chardonnay for us. Again, putting some faith in the experts panned out.